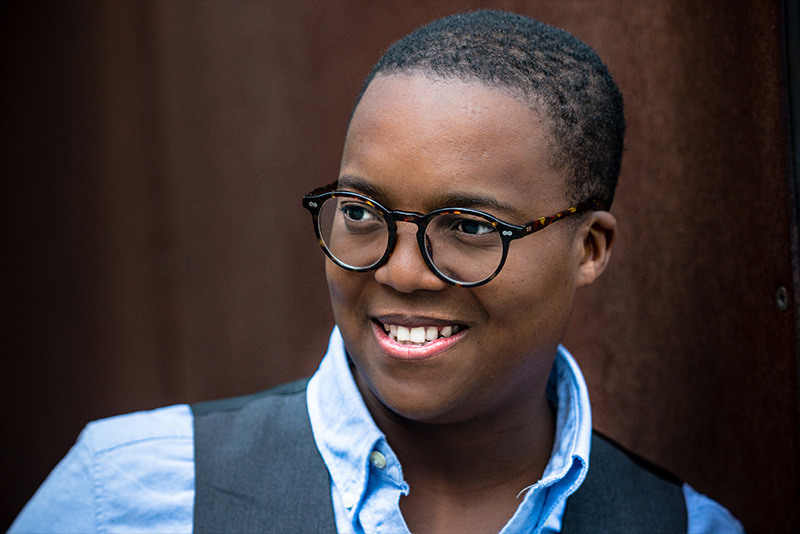 The young tenor Levy Strauss Sekgapane – winner of the 1st prize of OPERALIA 2017 - was born in Kroonstad in South Africa. From childhood he sang in different choirs and formally began his music education in 2006 by singing in Tirisano School Eisteddfod. Furthermore, he was a member of Fidentia South African Youth Choir and received a scholarship in 2007 to learn at Stellenberg High School in Cape Town. He later studied at the South African College of Music at the University of Cape Town under Kamal Khan and Hanna van Niekerk. During his time at the College of Music, he acted as soloist in different opera performances in South Africa, amongst others LA BOHEME, THE RAKE’S PROGRESS and LES CONTES d’HOFFMANN. In addition, he was a member of the choir of Schleswig-Holstein-Musikfestivals and attended master classes by Kobie van Rensburg. In concert he sang Mozart’s REQUIEM in the Cape Town City Hall and, as soloist supporting Bryn Terfel, John Strainer’s CRUCIFIXION, with the Philharmonia Choir of Cape Town and the Cape Town Philharmonic Orchestra. Since 2012 he participated as tenor at the International Choir Academy in Lübeck/Germany, where he sang the solo in Bach`s JOHANNES-PASSION under Helmuth Rilling. In the operatic repertoire, he debuted as Conte d’Almavia/IL BARBIERE DI SIVIGLIA and as Chevalier de la Force/DIALOGUES DES CARMÉLITES. More recently he sang SONGS OF FRIENDSHIP at the Scottish Opera Glasgow, Graf von Libenskof/IL VIAGGIO A REIMS at Cape Town Opera, Don Ramiro/LA CENERENTOLA as well as Vierter Knappe/PARISFAL at Opera Chemnitz. At the theater in Krefeld, he again sang Conte d’Almaviva/IL BARBIERE DI SIVIGLIA. Besides Operalia, Levy has won several prizes, amongst them first prize at the Belvedere singing competition, as well as the first prize at the Montserrat Caballé competition in Spain. During the season 2015/16, Levy was a member of the Young Ensemble of Semperoper Dresden. In the season 2016/17, Levy debuted as Conte d’Almavia/BARBIERE DI SIVIGLIA at German Opera Berlin and at Aalto Theater Essen. He gave his house debut as Don Ramiro/LA CENERENTOLA at Hamburg State Opera and Munich State Opera. Furthermore, Levy debuted as Conte di Libenskof/IL VIAGGIO A REIMS at Copenhagen Opera and at Opera di Roma. The season 2017/18 brought Levy for the first time to Liceu Barcelona, where he again sang Conte di Libenskof/VIAGGIO A REIMS. Levy made his debut at Oslo Opera House and at National Opera Paris in BARBIERE DI SIVIGLIA. Levy made his debut In Palermo/Italy singing Lindoro/ITALIANA IN ALGERI and gave his debut at State Theatre Wiesbaden/Germany. On the concert stage, he gave his debut at Elbphilharmonie Hamburg/Germany, singing the New-Years-Eve-Galaconcert, together with Olga Peretyatko, under the baton of James Conlon. Levy has performed BARBIERE DI SIVIGLIA in Las Palmas/Spain and he will made his debut at the Rossini Festival Pesaro/Italy. Upcoming debuts include the Donizetti Festival in Bergamo/Italy, as well as his South America Debut in Santiago di Chile, also in BARBIERE DI SIVIGLIA. In the 2018/2019 season he will also return to Hamburg/Germany for IL TURCO IN ITALIA, as well as making his debut in Bordeaux/France with BARBIERE DI SIVIGLIA. In spring 2019 he will make his debut in Glyndebourne in the UK.